KOOTENAY ROCKIESSpring is in the air. BC's Mountain PlaygroundTouring the Kootenay Rockies wineries. The Sentinel, on Kootenay Lake, offers a path to health, well being, mind, body & soul. Organic meals, massage, luxury accommodation and private naturopathic consultation. Book a two night stay at the Red Tree Lodge and get a discount rate on your stay and also receive 10% off on your green fees to play anytime at the Fernie Golf Course. 250-423-4622 Valid during summer, 2019. Golf Book of 10 is $650. Available to purchase during 2019 golf season. 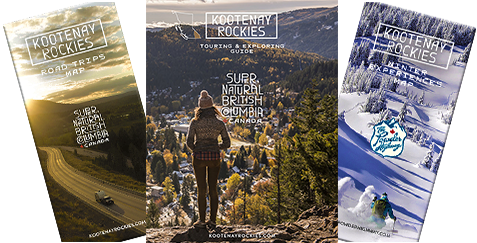 The region, in the southeast corner of British Columbia includes natural, clean, uncrowded activities and experiences that reflect the lifestyle, the culture and the community of Canada's West. Enjoy all that British Columbia's Mountain Playground has to offer.